What age is Laneige suitable for? 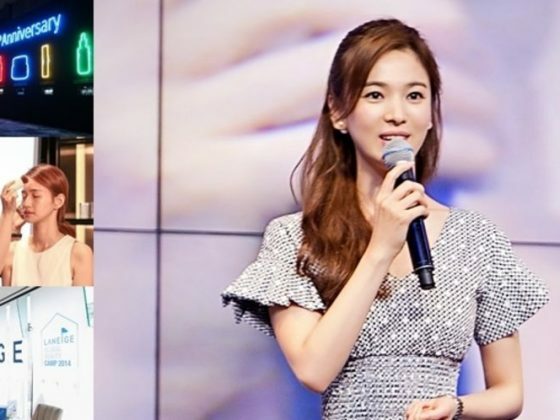 In recent years, with the promotion of Korean drama, Laneige has also knocked on the country. However, in a few years, Laneige has a counter in all parts of the country, the ladies have bought it but don’t know if Lange is suitable for their age. Next, let’s take a look at what ages Laneige is suitable for. What age is Laneige suitable for? Laneige is generally suitable for the 18 to 25 age group. 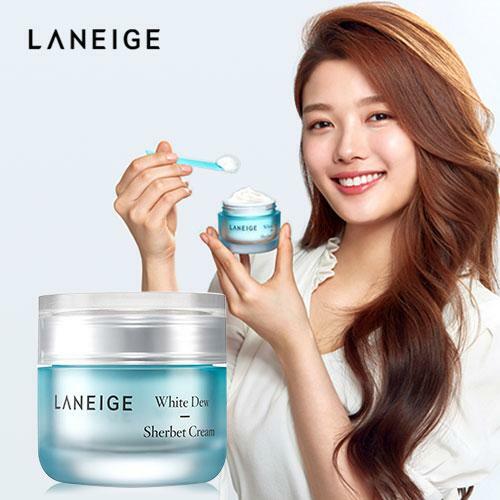 In South Korea, Laneige is actually a skin care product used by the student. However, in recent years, Laneige has also introduced skin care products for mature women. 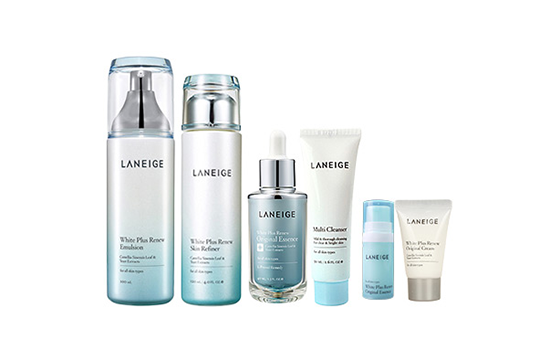 The age at which Laneige is suitable must be judged according to the product. 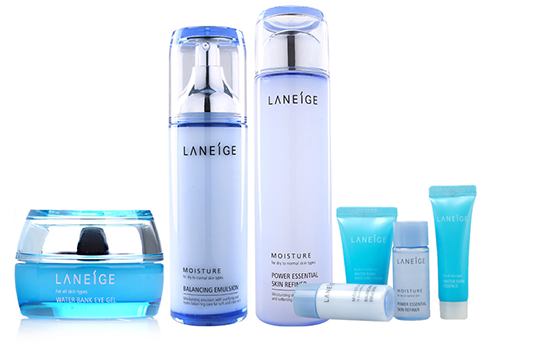 The Laneige Water Moisturizing products is divided into four different series, suitable for different skin quality. The Laneige Water Moisturizing Series is also known as the Basic Series and is mainly used for ages between the ages of 18 and 25. 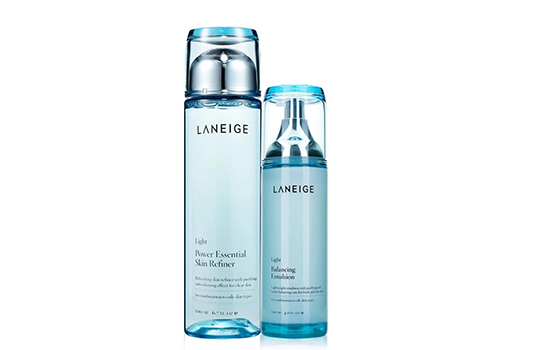 Oily skin often oils on the face, it can not stand any moisturizing skin care products, but Laneige’s Laneige Light Power Essential Set can not only effectively regulate the skin water and oil balance, and the vitamin B3 and grass cotton extract can accelerate skin metabolism, promoting melanin-containing keratin shedding, and maintaining cell balance. The most important thing is that vitamin B3 and grass cotton extract can promote the epidermal layer, enhance the synthesis of protein skin moisture and thus improves skin texture. Laneige’s Moisture Power Essential Set texture is actually more viscous, but it is not that very greasy feeling, especially the toner, the girls can be easily distinguished from the appearance, its texture is milky white. Laneige Moisture Power Essential Set contains keratin shedding protease, royal jelly, and betaine, which can effectively moisturize rough skin, leaving the skin full of moisture and smooth feeling. 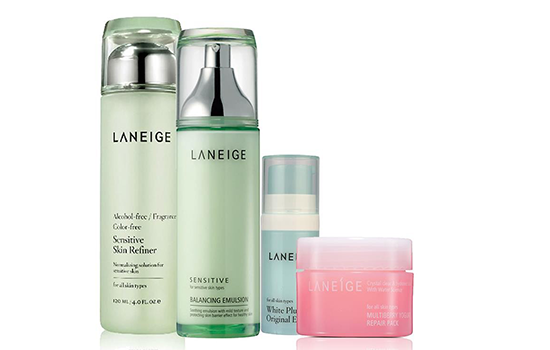 Laneige Sensitive Skin Refiner Set is mainly composed of Eichhornia crassipes, which is mainly grown in a pool or amber. It has an extract of Eichhornia crassipes, which protects the skin from harmful effects of various harmful substances, such as heavy metals, flying, and chemicals and etc., so as to relieve the skin pressure and reveal a translucent, vital and healthy skin. From the age of 25, the skin of ladies began to have uneven skin tone, pigmentation, dullness, fine lines, etc. due to the loss of collagen in the skin. However, the Laneige Perfect Renew series can form a delicate youth triangle by targeting the skin problems. Laneige’s research found that the skin texture of the baby showed a dense and delicate arrangement of triangles, and the dense arrangement of the triangles formed a delicate and smooth skin texture. 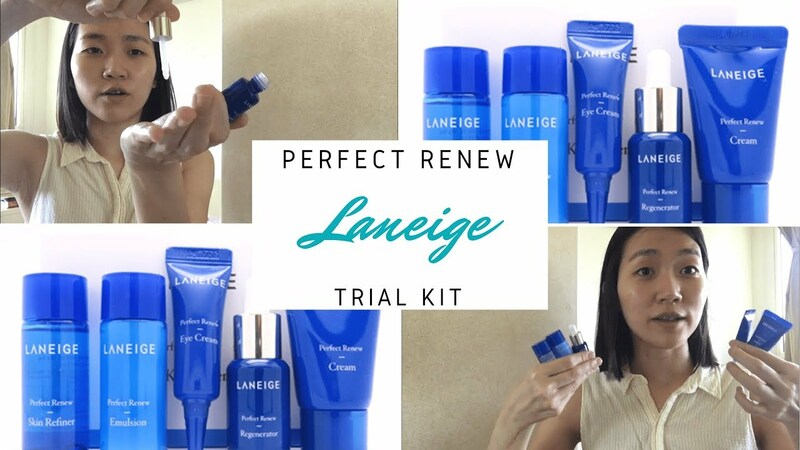 The Laneige Perfect Renew series contains sodium hyaluronate, which promotes skin absorption and contains arginine, alanine, glutamic acid and serine to help the skin improve dryness and fine lines caused by dryness. 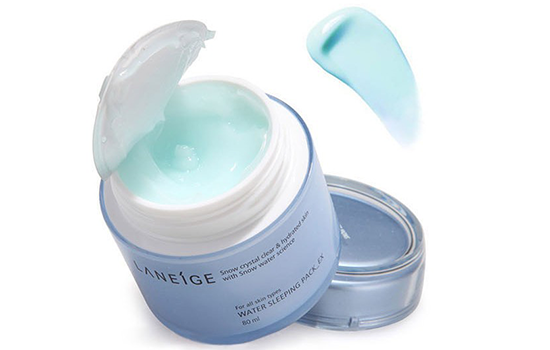 Laneige Water Sleeping Mask is a special care nourishing mask at night. It can deeply moisturize the skin. It can calm the facial skin while the girls sleep, and can achieve a good after-sun repair effect. The Laneige Water Sleeping Mask is a mineral water suitable for the skin in a golden ratio, and the waterpump System “water pump” moisturizing system is upgraded to strengthen the skin’s ability to regenerate. From the inside out, the skin is not enough moisture and locks the face moisture to enhance the skin’s water and oil balance as well as anti-aging ability, making the skin firm and healthy. What Age is Laneige White Plus Renew Series Suitable For? Laneige White Plus Renew series is mainly used to whiten and moisturize, and improve the texture of dull skin. The Laneige White Plus Renew series contains lysosomal activity, which can break down melanin from the skin source and prevent melanin from transferring to keratinocytes, eliminating toxins and old waste materials in the skin, thus improving the dark yellow skin to become white and bright.